The street is really quiet. Construction has stopped for the weekend at the massive hole in the ground up the road and it feels like a ghost town . 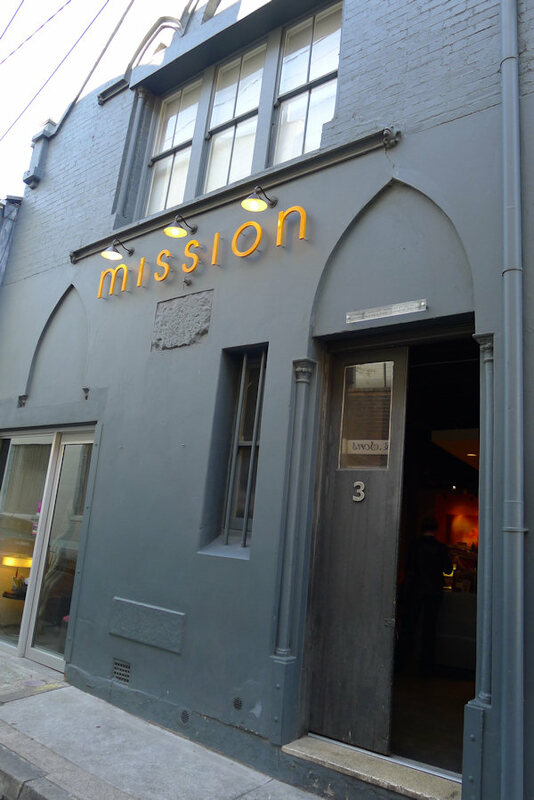 We double check the address and sure enough Mission Restaurant and Bar appears before our eyes. It’s an impressive Gothic Revival-style church that was first used by Sydney City Missionaries. It has gone through a few makeovers since then and is now home to a modern restaurant and gallery. Since Mission only do brunch on Saturday, we’ll relabel ourselves as Sydney on Saturday this week. 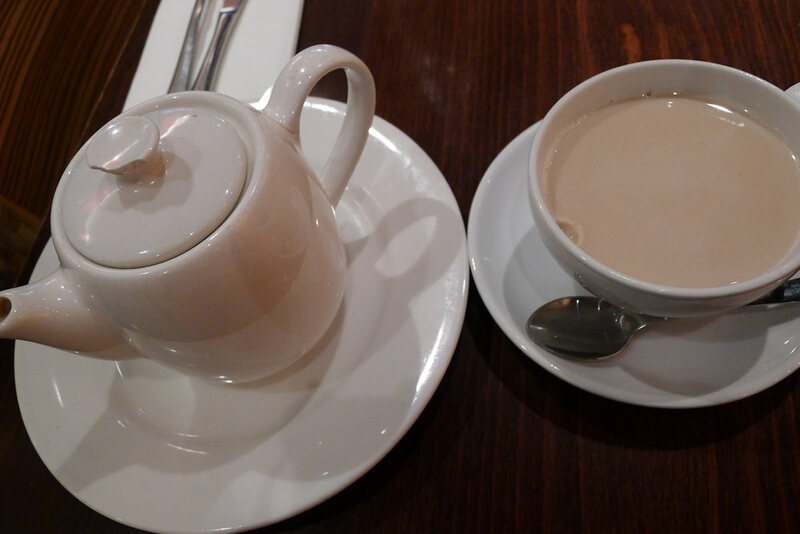 We love that the chai tea ($4) is loose leaf and comes in a pot. We wait for it to infuse to our liking and then sip away. 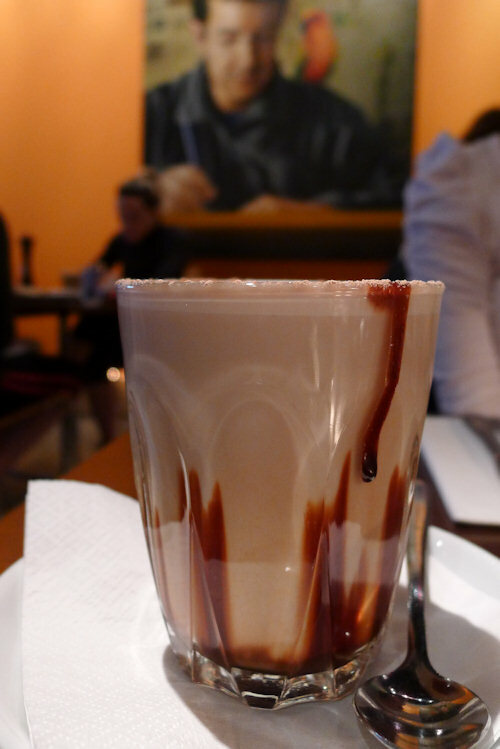 The hot chocolate ($3.50) earns bonus points for the streaked chocolate on the glass but unfortunately there was nothing special about the flavour. 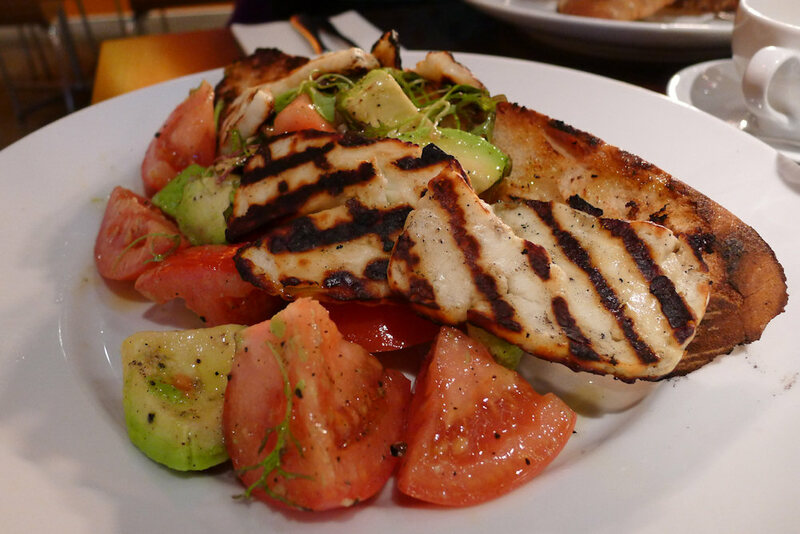 The grilled haloumi with avocado, tomato and mint on ciabatta toast ($15) was a larger dish than we expected. The flavours of lemon and mint were subtle but tasted good with the haloumi. The large chunks of tomato were a bit bland however overall this was a well-priced, tasty dish. 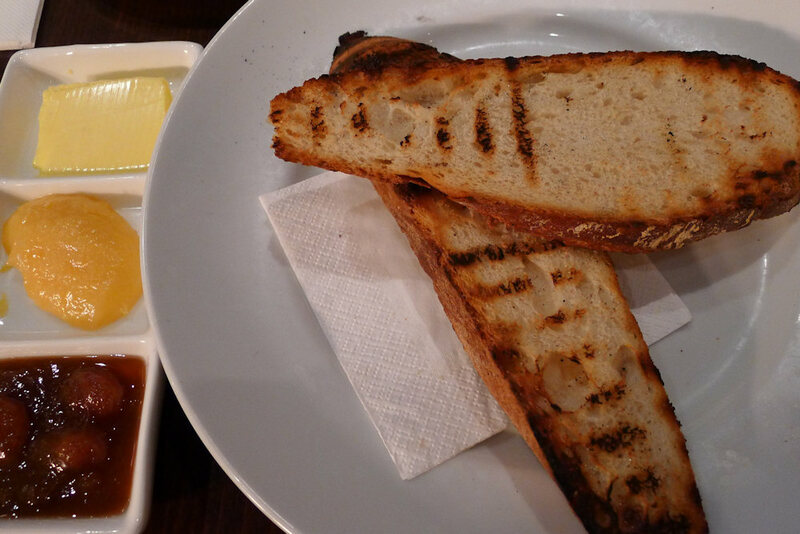 The char-grilled ciabatta toast with a choice of two jams ($7) was a nice start to the day. Jams on offer include pear and star anise, rhubarb & pear and lemon curd & peach. We try the last 2 and they are delicious. The lemon curd is our favourite and we savour every mouthful. Mission products including the lemon curd, chutneys and pickles are available for purchase. They are $10 each or $25 for a selection of 3 products. 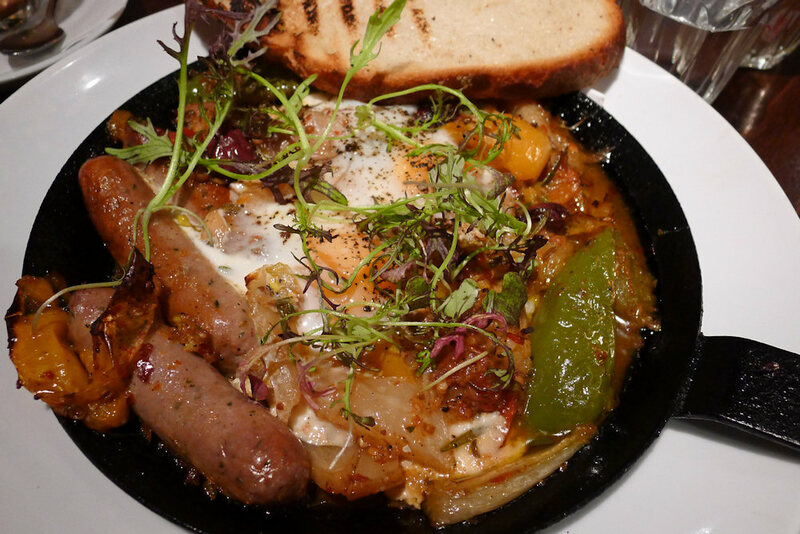 The baked eggs ($19) is served in a hot, heavy, rustic pan and is full of flavour. The eggs are baked with veal & thyme sausages and peperonata. Throughout the pepronata are thick and flavoursome slices of capsicum and onion. The chilli taste starts mellow but builds to a punch which we love. The sausages, too, are fantastic and the slightly charred ciabatta works wonders with the bold flavours. We have no choice but to add this dish to our list of favourites! 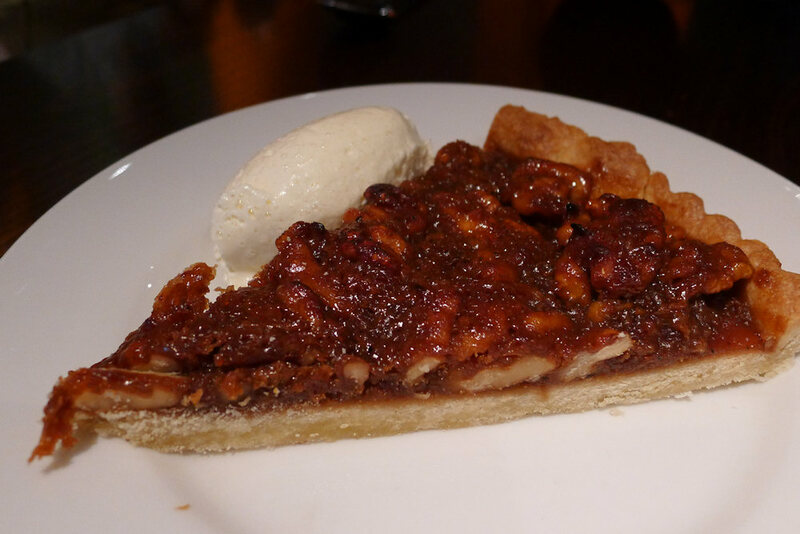 caramelised walnut tart. 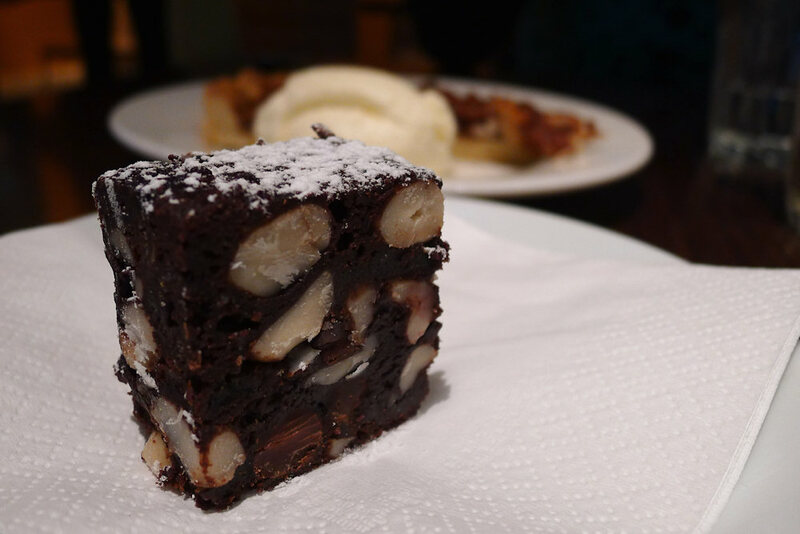 The pastry is buttery and the walnuts sweet and gooey. 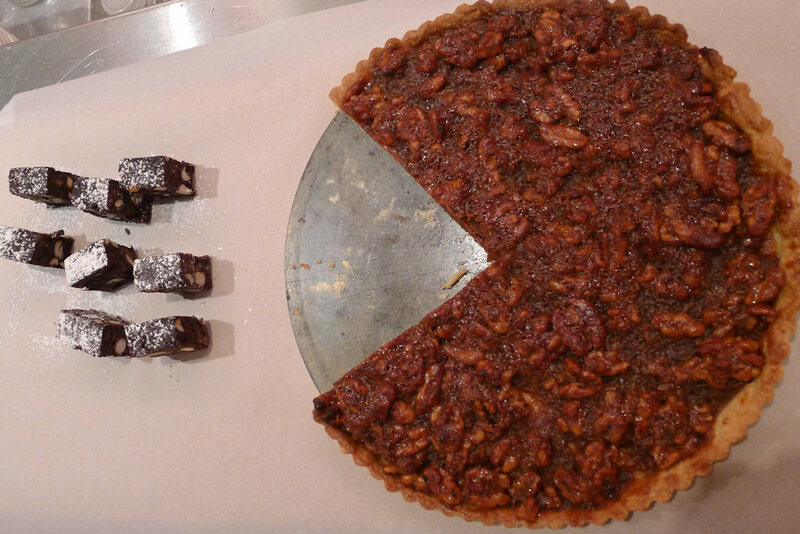 We share the tart and add a smattering of cream to each mouthful. We recommend walking around the local area. There are a few galleries close by including the White Rabbit Gallery, Harrington Street Gallery and the Pine Street Creative Arts Centre. Frasers Studios occasionally has an Open Day where they throw open their doors to the public and showcase the work of local artists working on site. Also look out for the miniature community gardens which are springing up on the edges of footpaths. There’s lots going on once you know where to look! This entry was posted in Sydney - CBD and tagged Gallery close by, Parking close by. Bookmark the permalink.